Asia Pacific Offset Ltd (APOL) helps New Zealanders get books, magazines and other products printed in China through our trusted stable of printers. 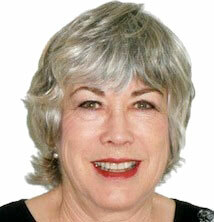 I’m Barbara Nielsen, the NZ-based representative for Asia Pacific Offset Ltd (owner of Bookbuilders and Phoenix). My job is to assist you with communication and help your projects run smoothly. Our head office is in Hong Kong, where we have a team of experienced estimators, production coordinators, and accounts and shipping personnel. We also have an office in Shenzhen, China, handy to our printers, with estimation and production staff. Everyone employed by APOL speaks English, although the staff in the factories we deal with may not – that’s one of the reasons you need our team! APOL works with a trusted stable of printers in Hong Kong and China, and the work is of a high standard while still being an excellent price. When you place work with APOL, you are allocated your own project coordinator in our Hong Kong or China office, and I will also be on hand to guide you through the process. I have been working with APOL for nearly 20 years and have more than 37 years’ experience in book publishing and production. I am well placed to help you achieve the results you want. I also have contacts with a variety of freelance production staff – writers, editors, proofreaders, indexers, designers, photographers, illustrators – should you need them.